You get ready to sell, make sure your business is ready. The Greenwood Business Information Center (BIC) is open at no charge to the public Monday—Friday 8:30 a.m. - 4:30 p.m. during normal Central Rhode Island Chamber operating hours. It provides a one-stop location where current and future small business owners can receive assistance and advice.Schedule a FREE appointment to meet with one of the business consultants. They are here to help entrepreneurs plan their business, expand an existing business or venture into new business areas. The BIC has free on-site counseling available by appointment. These business men and women lend their expertise and knowledge to assist clients with problems and issues confronting those starting, managing and growing a small business. 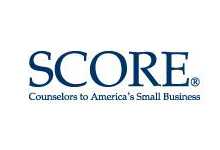 "Rhode Island SCORE provides FREE, confidential counseling to small businesses in Rhode Island and nearby Connecticut and Massachusetts. We are a volunteer organization of working and retired business owners, professionals, and executives with experience in all aspects of business management." The Rhode Island Chapter of SCORE provides free face-to-face advice with an experienced mentor to help develop strategies and answer questions on a wide range of business topics – everything from how to write a business plan, how to arrange funding and manage cash flow, to how to develop effective marketing and sales strategies. Importantly, SCORE not only helps people to start businesses, the organization works with existing businesses that need assistance and who must improve financial performance. 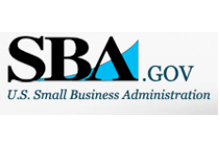 SCORE operates as a community service and as a resource partner of the U.S. Small Business Administration (SBA). Rhode Island SCORE has 11 locations throughout the state and 40 volunteers comprised of retired corporate executives, successful business owners and some unsuccessful business owners, as well as, technology, legal, financial and sales and marketing experts. The Chapter’s expertise is deep and varied. We make an effort to match those seeking assistance with the appropriate counselor. Notwithstanding, the counselor’s background, they are required to undertake a training and certification process. What each volunteer has in common is a willingness to share their expertise, experience and business savvy to help others achieve success. In addition to our face to face counseling, we have many online workshops, online mentoring, online templates and tools and they are all free. In summary, put SCORE’s volunteers, workshops and online workshops to work for your business. Telephone: 401-226-0077 to schedule your free appointment. RISBDC helps strengthen Rhode Island's small businesses through counseling, training, research, and related services, in order to contribute to the growth of our economy. • By providing private one on one business counseling to new or existing businesses at no cost. • Need to review your 5 year Business Plan? Or do you want to write a new one? • Need a loan and would like help with the process? We can work with you to gather the necessary information the bank will need to process your loan. • If your business numbers are sluggish, we can work together to identify the cause and put a plan in place to improve performance. • Need a stronger online presence? • Want to rejuvenate your goals? • Sounding board for new ideas. We will listen and have the necessary conversation to see if your idea has legs. These are just some of the items that may benefit your business. There are so many changes from day-to-day and our services are here to help keep your business in touch. Interested in Free business counseling? Call the Central RI Chamber 401-732-1100, Email to schedule an appointment or Click Here for the online business counseling request form. Center for Women & Enterprise -Where it's not just for women. The Center for Women & Enterprise is a nationally known nonprofit organization dedicated to helping people start and grow their businesses. CWE has worked with more than 37,300 Massachusetts, Rhode Island, New Hampshire and Vermont entrepreneurs since 1995. CWE provides opportunities for entrepreneurs and women in business to increase professional success, personal growth, and financial Independence. When Andrea Silbert returned to her hometown of Boston in 1994 after a two-year stint in South America, she brought with her an idea for a non-profit micro-lending institution for women entrepreneurs. Read more about the history of CWE. We’d like to work with you too, to start your business or grow your business. Interested in volunteering to help others - be a SCORE Counselor! All areas of experience are welcome. Email your contact information and a brief history of your background and areas of expertise to receive additional information. We will answer your questions and review the process for your consideration. Discounted rates on meeting and conference room space rentals for Central Rhode Island Chamber Members.